We support third sector health and social care organisations to develop and work together, raising and progressing common issues as one voice. The third care sector is facilitated to better share resources and best practice. We work in partnership to develop and establish new services where needs are identified. Aim 2: A strong voice for users and carers of health and social care services in the Scottish Borders. We support and enable users and carers accessing adult health and social care services to have a voice and influence service planning and delivery in the Scottish Borders. Aim 3: Health and social care services in the Scottish Borders are involved and informed in strategic direction. We represent third sector health and social care organisations in community planning and facilitate partnership and information sharing forums to support joint working across all sectors. Aim 4: A strong and effective Borders Voluntary Care Voice. We are a robust and sustainable organisation with good governance and engagement from its membership. 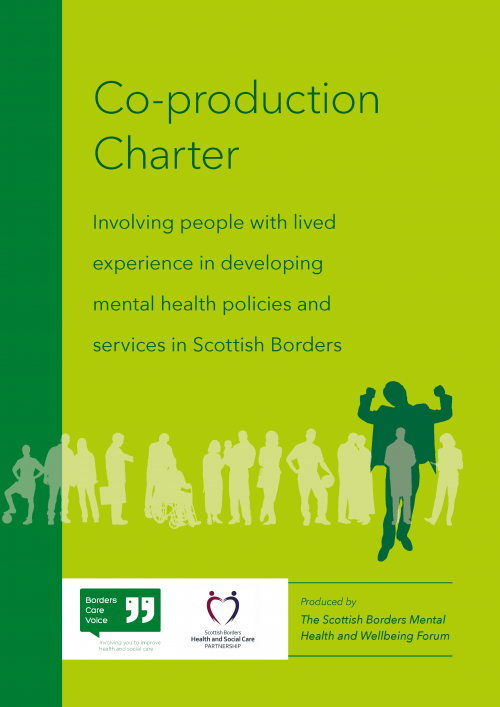 We facilitate and lead the Borders Advocacy Advice & Support Forum and facilitate the Advocacy Planning Group, led by Scottish Borders Council and NHS Borders. We host a number of working groups, which aim to give users and carers a voice in the planning and delivery of health and social care services. Guest speakers are invited along to update the groups and consult on new ideas and projects. Find out more about our user groups here.